what is the best wound treatment for leg wounds that won't heal? 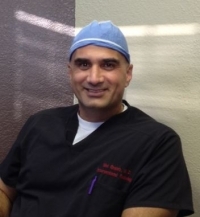 » Watch Next Video by Dr. Mel Ghaleb, MD - How do you get spider veins? What is the best wound treatment for leg wounds that won't? The best treatment for the leg wounds that will not heal is to go after the source of that problem, which is in the vast majority of times caused by what we call venous reflex or venous insufficiency. If we can fix that vein that is causing the blood to pull back down into the ankles and causing the ankles to swell up and you eventually form skin breaks or wounds. Then, we have treated the root of the problem, the source of the problem. And that would be the most effective way of treating the wound.